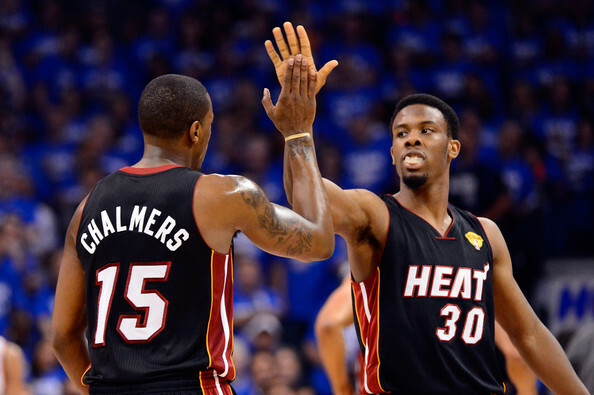 Home / Editorials / Mario Chalmers: Miami’s Secret X-Factor? 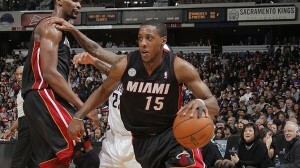 Mario Chalmers: Miami’s Secret X-Factor? 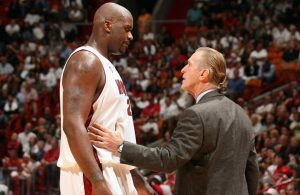 On Thursday night in Portland, with the Miami Heat trailing by two points with 10 seconds to play to the Portland Trailblazers, Heat coach Erik Spoelstra called on Mario Chalmers to join the big three of LeBron James, Dwyane Wade, and Chris Bosh, as well as Ray Allen, for the game’s final play. 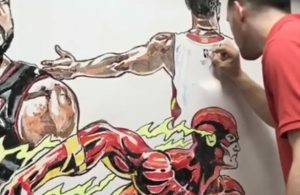 The play resulted in a high pick and roll between James and Bosh, with a bounce pass to Bosh at the right elbow resulting in Chalmers’ man helping down to take away Bosh’s patented mid-range jump shot. Bosh turned and found Chalmers for a wide open three-point attempt that would’ve won the game for Miami at the buzzer. It missed. Two nights later in Sacramento, Chalmers made more than the one three-pointer the Heat needed from him Thursday – nine more, to be exact, as he finished 10-of-13 from deep to tie the franchise record previously set by Brian Shaw. Though only a two-game sample size, the last two Heat outings provide a good illustration of the full Mario Chalmers experience. In his fifth year in the NBA, the 6-foot-2 former Kansas Jayhawks star is still a maddeningly inconsistent player, showing an occasional spark that makes you think he can an above average NBA point guard, while at other times looking no better than a career backup. After a solid rookie campaign in 2008-09, Chalmers seemed to regress in his next two seasons, posting career low shooting numbers, as well as his two worst Player Efficiency Ratings (10.7 in 2010 and 10.3 in 2011), while seeing his points, assists, and minutes go down each season. But in the Heat’s 2011-12 championship season, Chalmers picked up his game, shooting 44.8 percent from the field and 38.8 percent from the three-point line, becoming a reliable floor spacer on offense (though his decision making at both ends of the court still left much to be desired). Chalmers also provided some key moments for the Heat in the playoffs, including a 22-point effort in the overtime win over Boston in Game 2 of the Eastern Conference Finals, and the 25-point performance against Oklahoma City in Game 4 of the NBA Finals that to this point is the high mark of Chalmers’ career. At the start of this season, it seemed the momentum that Chalmers finished last season with would carry over, with a pair of 11-assist performances in wins over Boston and Phoenix giving the impression of an evolving player set to transform into more of a playmaker in his fifth season. Through the first four games of the year, Chalmers had compiled 28 assists to just six turnovers. Since then, there have been 92 assists and 50 turnovers, an assist-to-turnover ratio of 1.84 that would put him just inside the top 60 in the league. But while early playmaking and good decision making tapering off could’ve been expected, Chalmers’ poor shooting most likely was not. After shooting a career high from the three-point line last season, Chalmers made just 14-of-44 threes (31.8 percent) in the first 20 games of this season. Those struggles, combined with his more noted defensive liabilities, resulted in a loss of fourth quarter minutes to backup point guard Norris Cole, whose own offensive limitations were perhaps the only impediment to his unseating Chalmers as the team’s starting point guard. However, the shooting has picked up of late, with Chalmers making 31-of-70 from long distance (44.3 percent) in the past 15 games. He has even started reining in the mistakes in recent games, committing just 12 turnovers in his past 11 outings. The upward trending of Chalmers’ performance should be particularly welcome news for the Heat, especially since his play has been somewhat of a barometer for Miami’s success this season. 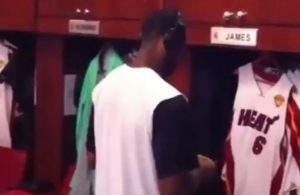 In the 24 Heat wins this year, Chalmers is shooting 47 percent from the field and 46.5 percent from the three-point line, according to NBA.com. In the 11 losses, he’s converting just 27.5 percent of his shots and 21.2 percent of his threes. Chalmers also averages 3.9 assists per game in wins vs. 2.5 assists in losses. 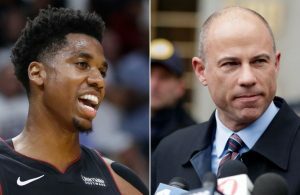 The disparity isn’t limited only to the offensive end of the court either. In wins, Chalmers is averaging nearly twice as many steals per game as in losses (1.8 in wins, 1.0 in losses). Certainly, it’s not as simple as saying that when Chalmers plays well, the Heat win, or when Chalmers plays poorly, the Heat lose. But given how much Miami relies on its perimeter shooters to punish opposing teams for helping off of James, Wade, and Bosh, and how winning the turnover battle is such a key component to the Heat overcoming its rebounding deficiencies, it’s perhaps not overstatement to say that a fully engaged and under control Chalmers can have as great an effect on the Heat’s success as any Miami player other than the big three. 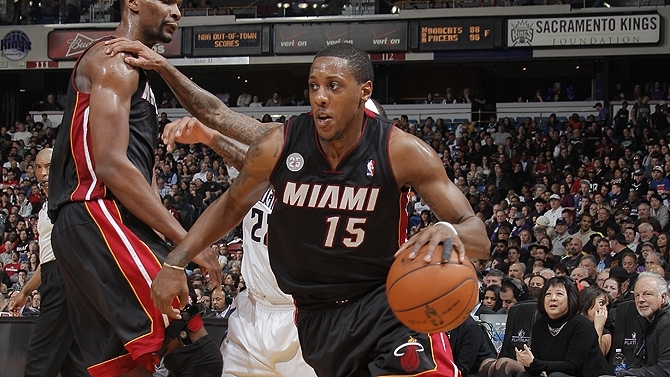 After Saturday’s win, Chalmers admitted to frustration at his lack of consistency this season. There likely won’t be any more 10-for-13 three-point performances from Chalmers this season, but the more Miami sees of Good Mario than Bad Mario, the more difficult it will be to unseat the Heat as NBA champions.